When you live at the Stonemill Pond Apartments, you are living large. 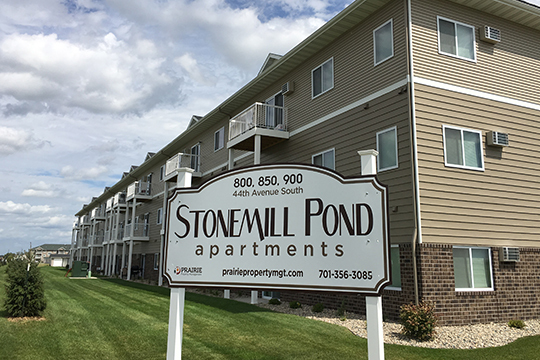 Located in a flourishing area of Moorhead, each apartment has open kitchen and living areas, oversized closets, and 9-foot ceilings. The floor plans create a spaciousness not typically found in apartment living. You will enough space to eat, live, and play comfortably.